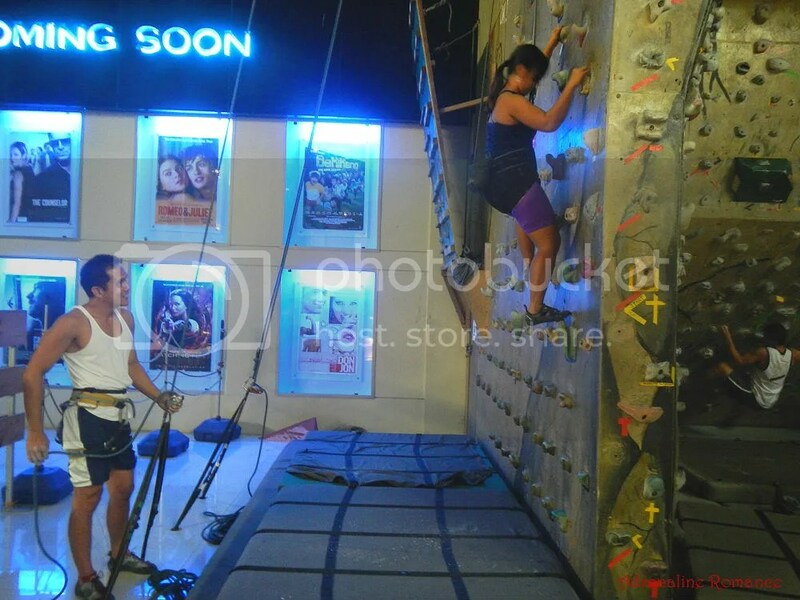 Dedicated climbing centers in the Philippines are quite few in number. In fact, you would be hard pressed to find a couple of such facilities in many cities and towns in the Philippines. And we can’t consider the rudimentary, overly easy walls in resorts and adventure camps as true climbing walls. By now, we all know the reason for the dismal number of climbing walls here: climbing is an unpopular sport in this country. So, how do you introduce climbing to a community that barely knows the existence of the sport? One clever way is to actually bring the sport to the people rather than spending a fortune in advertising schemes to draw the people to your facility. The people of Camp Sandugo did just that. 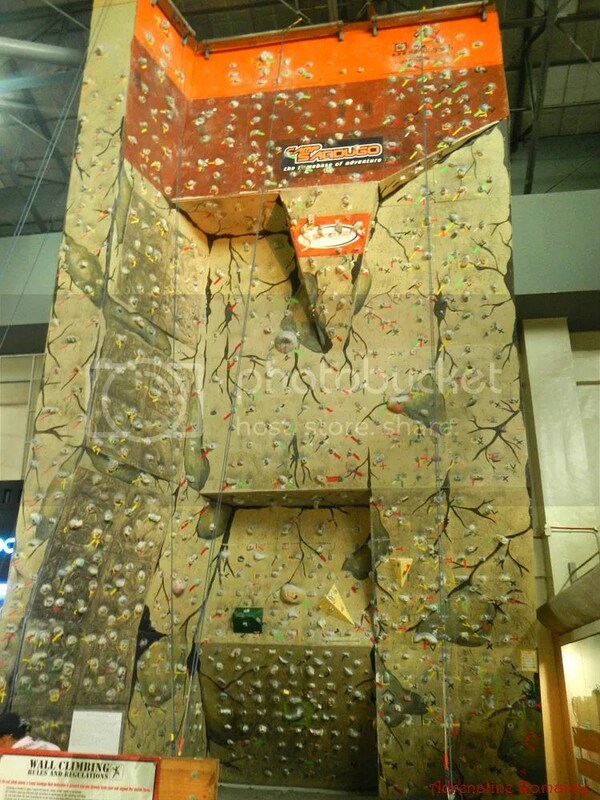 They erected a 44-foot tall climbing wall in a high-traffic area of Market! Market!, a large Ayala-owned shopping center in the hip and prestigious Bonifacio Global City, which is a business hub. After touring the Manila Ocean Park, we headed to Market! Market! to check out the Camp Sandugo’s climbing wall. We ate our lunch hurriedly and proceeded to the facility, which is just right beside the mall’s theatre complex. We were able to spot it immediately because the light-brown wall is visible from the second floor of the mall. The wall is divided into five levels of difficulty. Right beside the wall was Camp Sandugo’s small but pretty okay outdoor shop. 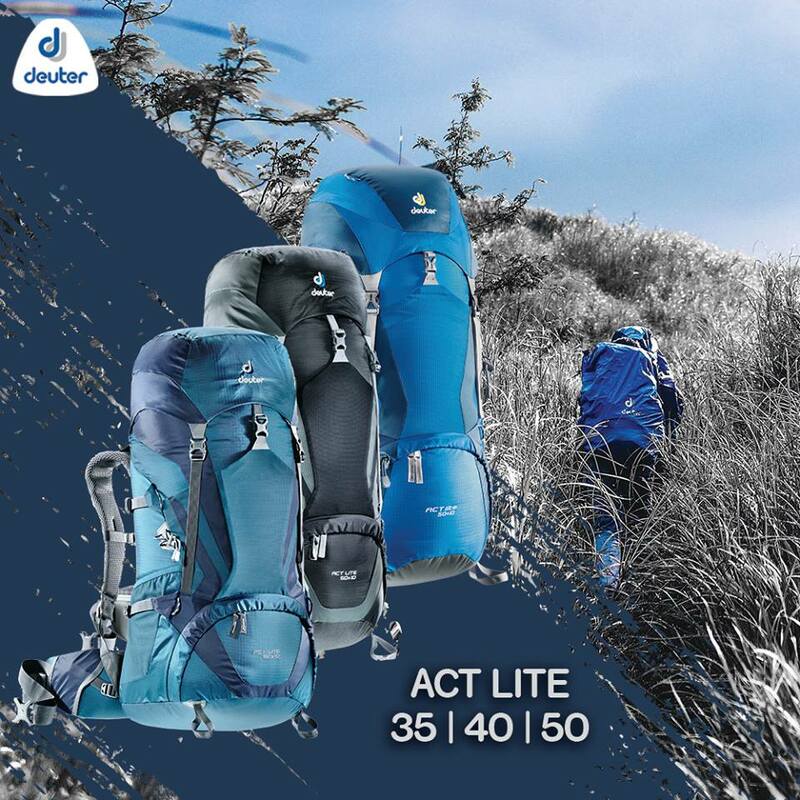 Although they do not carry a comprehensive inventory of outdoor gear, they do have the basics such as daypacks, technical packs, trekking shoes, outdoor wear, tents, etc. They also have a small section of climbing and rescue hardware. 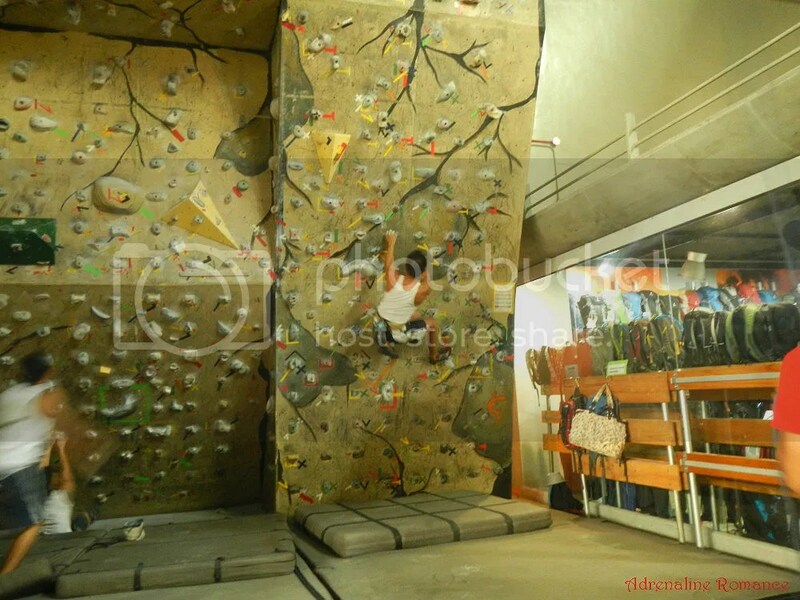 Just like Power Up Climbing Center in Tandang Sora, Camp Sandugo has an inclined campus board for climbers to train and improve finger and upper-body strength. Each route’s line is threaded to a Petzl Gri-gri belay device. 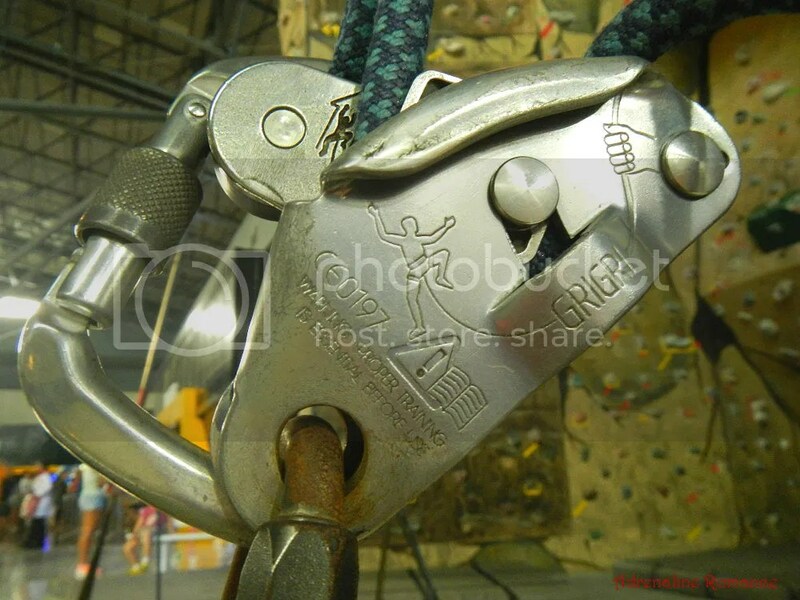 Unlike a tubular belay device in which the belayer has to actively handle the rope to a lock position, the Gri-gri pinches the rope when the latter is subjected to a sudden, quick load (such as the force of a falling climber). However, the device allows the rope to pass through if the latter is moved slowly (such as feeding the rope to a lead climber or taking up slack when top roping). Clever idea! 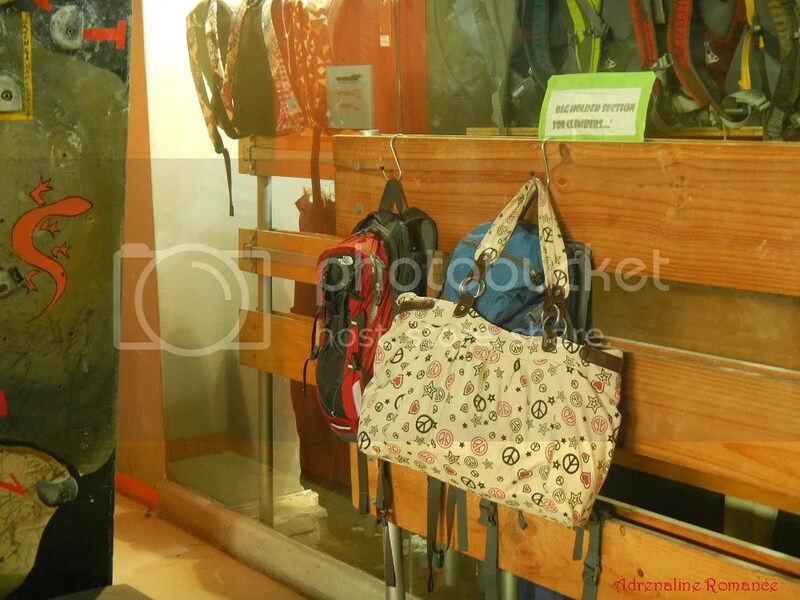 Instead of lockers, the management of Camp Sandugo created these space-saving bag hangers where climbers can hang their personal stuff while enjoying their climbs. For your own safety, always adhere to the rules. Even in carefully controlled areas such as a climbing gym, accidents can happen. These mishaps can easily be avoided if rules and precautions are diligently followed. It’s time to climb! I warmed up on one of the starter routes. The holds were quite cool, spongy and firmly bolted. 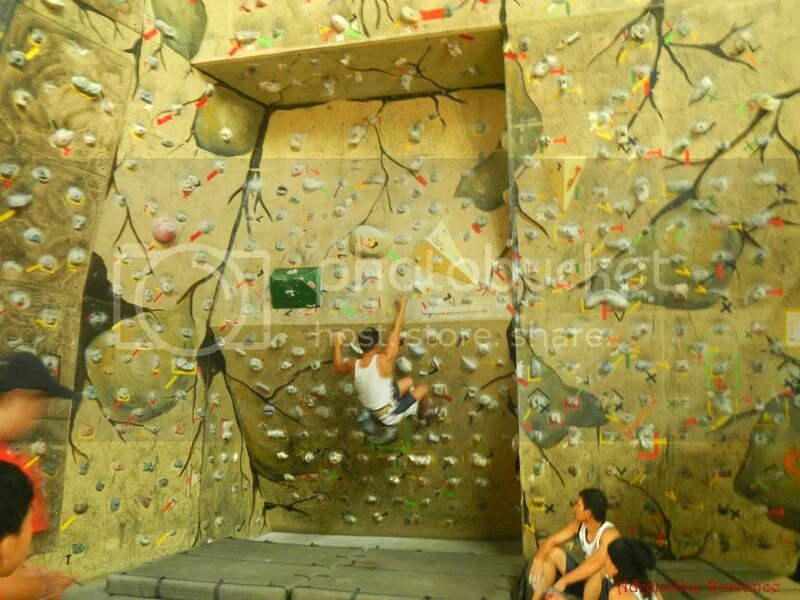 This is an excellent wall for first timers who want to have a feel of what wall climbing is like. The easy warm-up wasn’t enough for me so I climbed the second wall while following a marked route. 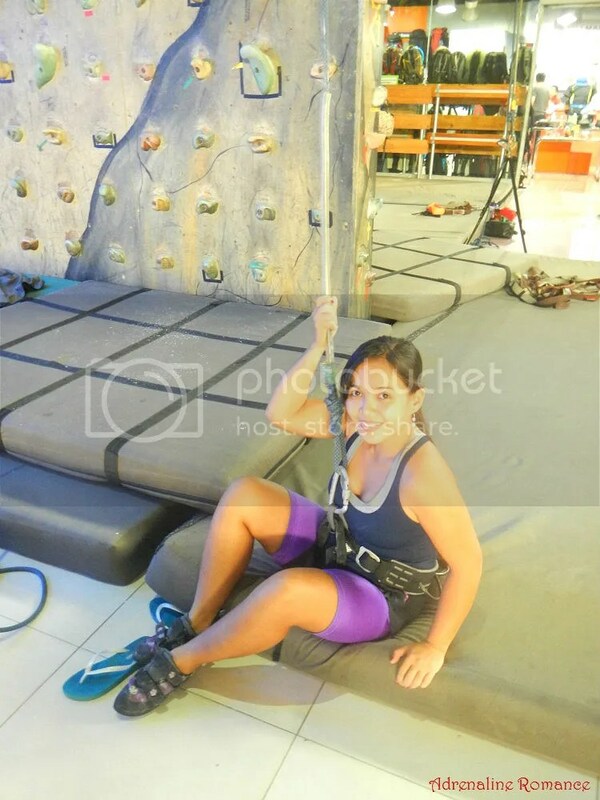 After reaching the top, I down-climbed rather than having Sweetie belay me down. After I disengaged myself from the line’s carabiner (yes, there’s no need to tie in), Sweetie donned on her harness and rock climbing shoes. Excited, Sweetie? Sweetie started her ascent cleanly and nicely. In just a few minutes, she reached the top and downclimbed the route. That got her pretty warmed up. Let’s do a more difficult route, shall we? 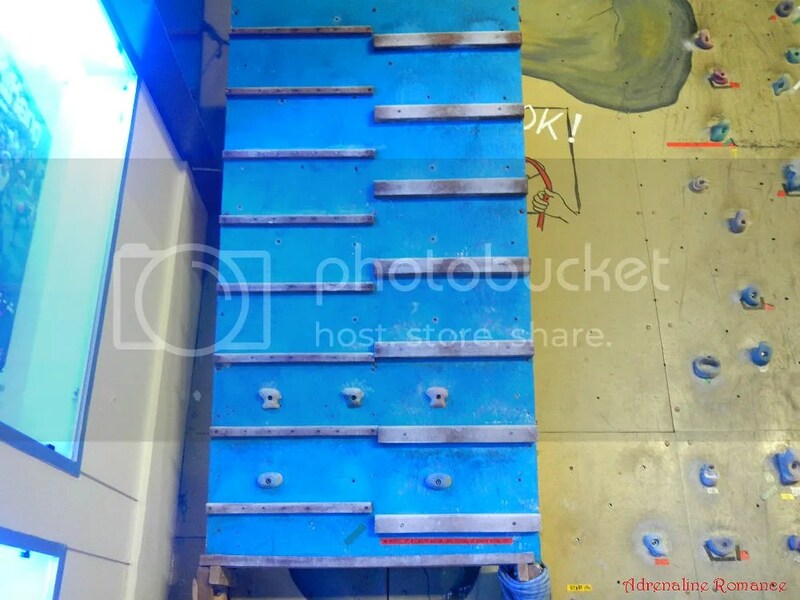 The Level 2 wall features a slight incline and more challenging holds such as small jugs, crimpers, and slopers. It was still a little too easy for me, and I reached the top of the route in a few minutes. One of the nice things about this wall is that part of it has rough texture, making smearing (climbing using friction by pressing the sole of your shoe to the wall rather than stepping on a foothold). 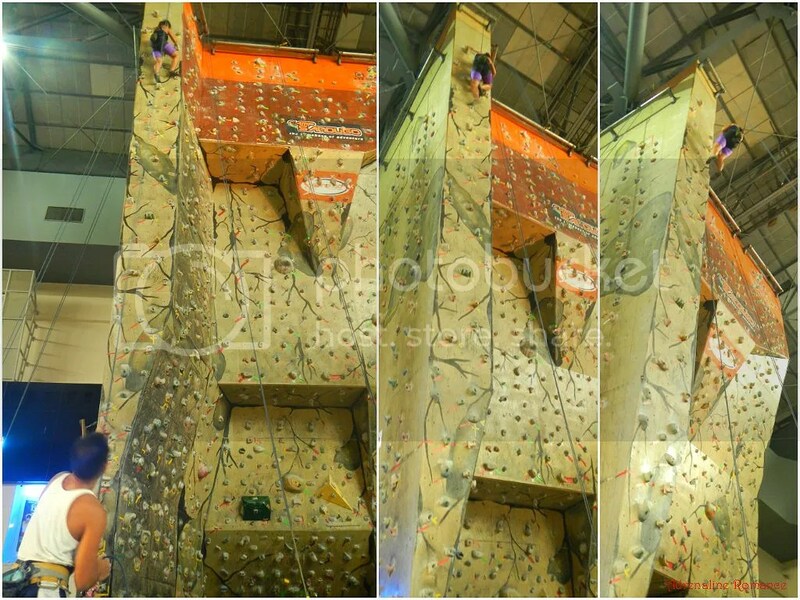 Sweetie challenged herself to climb the Level 3 wall, a route that is inclined all the way to the top. The route is quite narrow, which means there were less holds for her to hold. Still, she was able to make her way easily to the top. The Level 4 wall was more like it! The wall has moderately inclined start until halfway to the route. I can use the rock climbing techniques I found in YouTube to effectively ascend steep walls. And the techniques worked surprisingly well. After that is a short vertical section which climbers can use as a rest stop. The route then continues at a slight incline until its crux (most difficult part), which is a short 90-degree overhang. This is the perfect route for those who want to develop their stamina. How I wished I brought quickdraws so I can lead climb this route. It’s absolutely fun to climb! 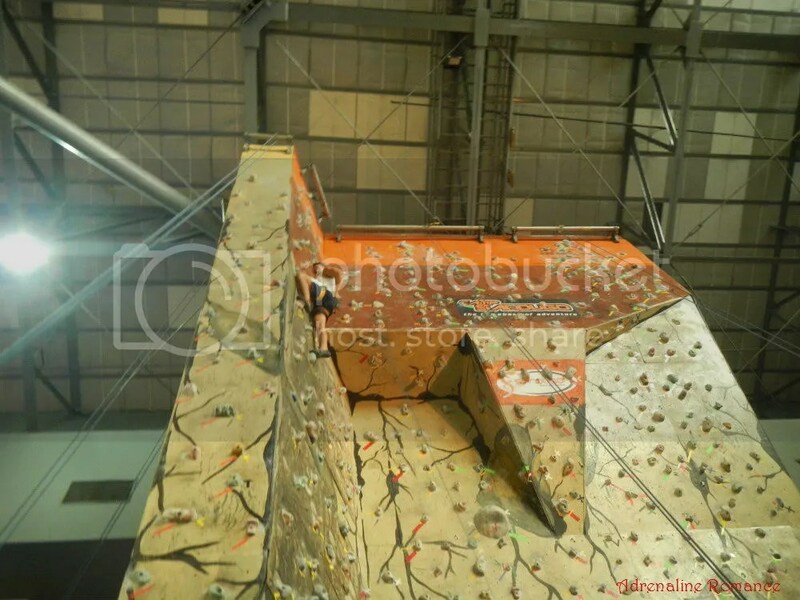 Level 5 wall starts with a steep 45-degree incline, which also doubles as a bouldering cave. The most prominent features of this wall are the two roofs spaced about 15 feet apart and the triangular section inclined at 45 degrees which one can use if he or she doesn’t want to pass under the higher roof. We wanted to climb this route, but we were pressed for time to catch our flight back to Cebu. Thus, we just did a few bouldering moves. We just climbed for over two hours, but we definitely had a whole lot of fun! 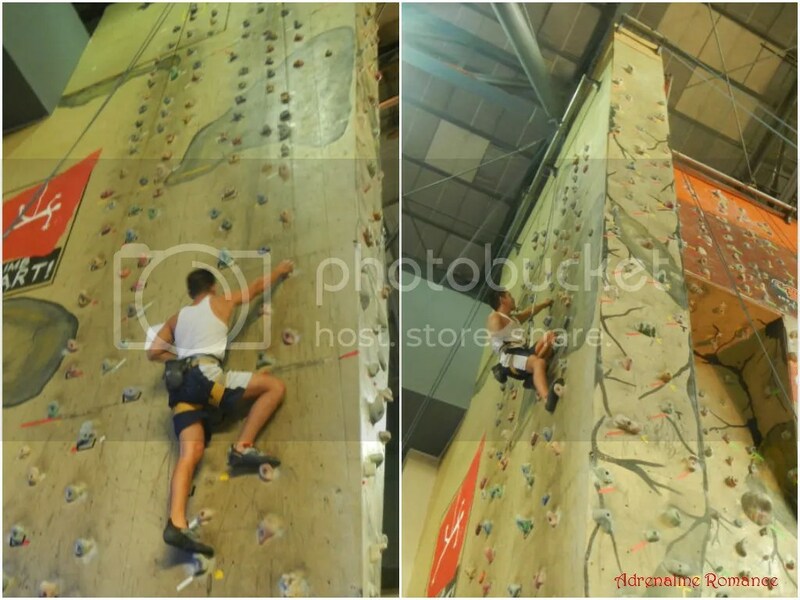 And we felt pretty cool albeit uncomfortable when non-climbing mall goers had their eyes on us as we climbed. Hehehe! 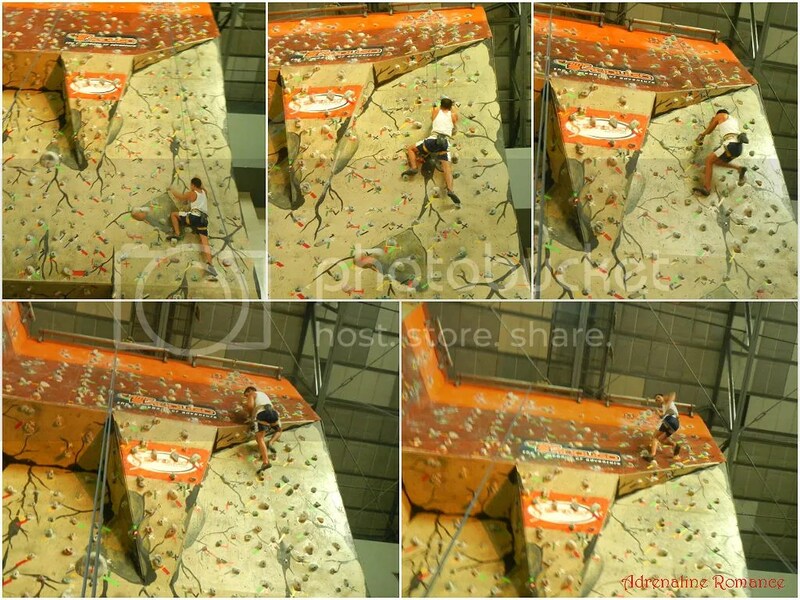 Seriously though, having a climbing wall in a mall is an excellent idea that mutually benefits both establishments. The mall receives a unique reputation/name for having such a facility in their premises while the climbing wall’s operator enjoys a steady supply of prospects who are interested in climbing. 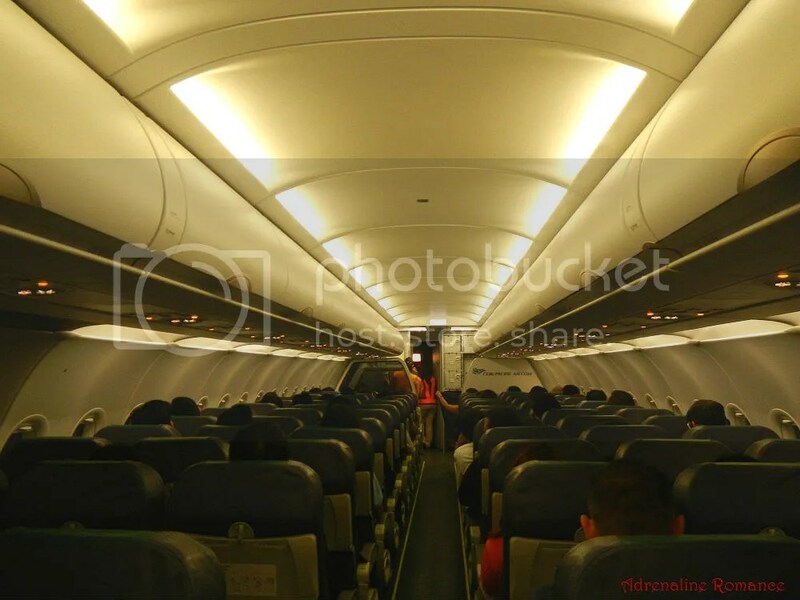 At around 6 PM, we were already on board our flight back to Cebu. Our Manila trip was definitely a fun, educational weekend. But the celebration didn’t end for Alexa! 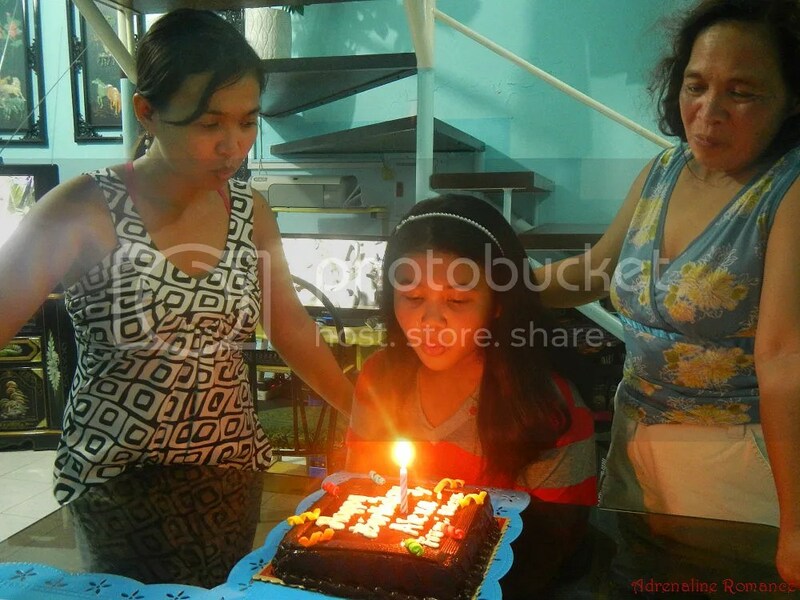 When we reached home, she was pleasantly surprised to see Lola Dina prepare a delicious cake and a yummy feast for her. Happy birthday, Alexa! 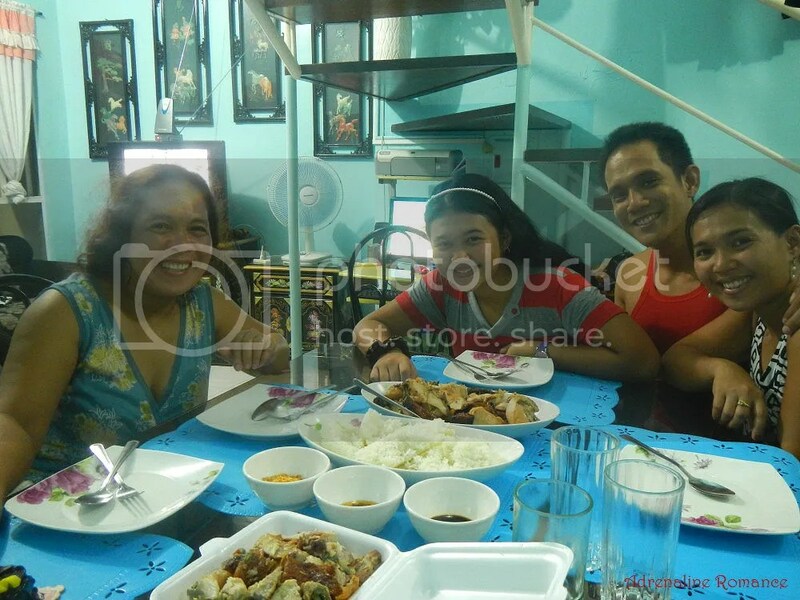 As we enjoyed her birthday dinner, Alexa remarked that she had the best birthday ever! Option 1: From the northbound side of Ayala MRT station, take a short hike to The Fort Bus Station, which is a corner away from the MRT station along EDSA. From there, ride a bus that goes to the Market! Market! Option 2: Head to the northbound side of Guadalupe MRT station. You will then see a Jollibee outlet. Behind that outlet are jeepneys that go to Market! Market! 4. Camp Sandugo Climbing Wall is open 7 days a week. However, note that although Market! Market! opens at a much earlier time, the Camp Sandugo wall opens and gets manned much later. 5. Note the prices, equipment rental rates, and operating hours by checking out the photo below. Pay the rate at the cashier inside the Camp Sandugo shop before climbing the wall. Note that prices are subject to change without prior notice. 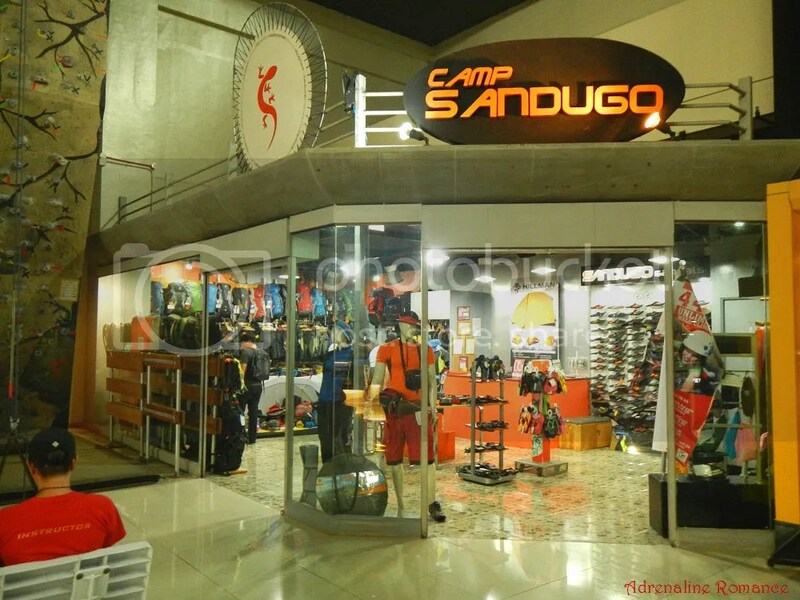 It is best to contact Camp Sandugo regarding updates on prices. 6. If you want to climb with fewer people, schedule your sessions early afternoon. 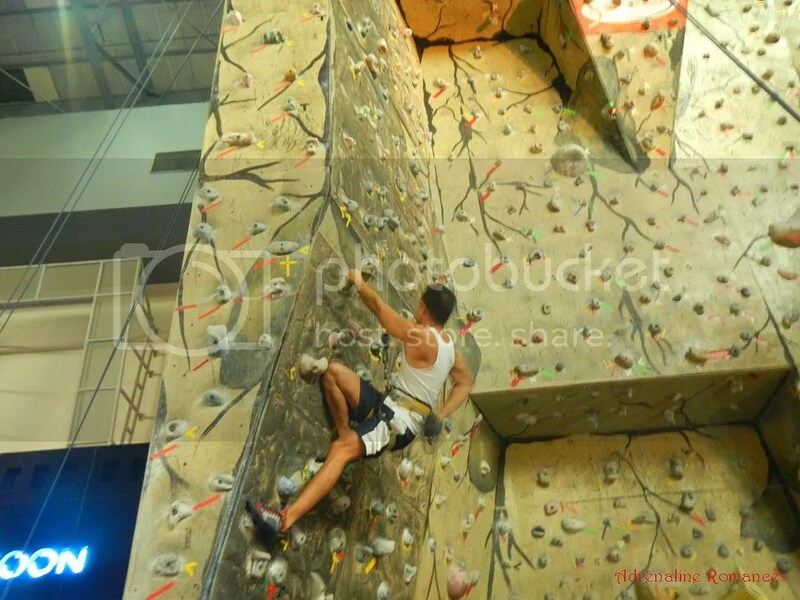 Regular climbers often come in and train late afternoon or evening. 7. The wall is located in a busy mall. 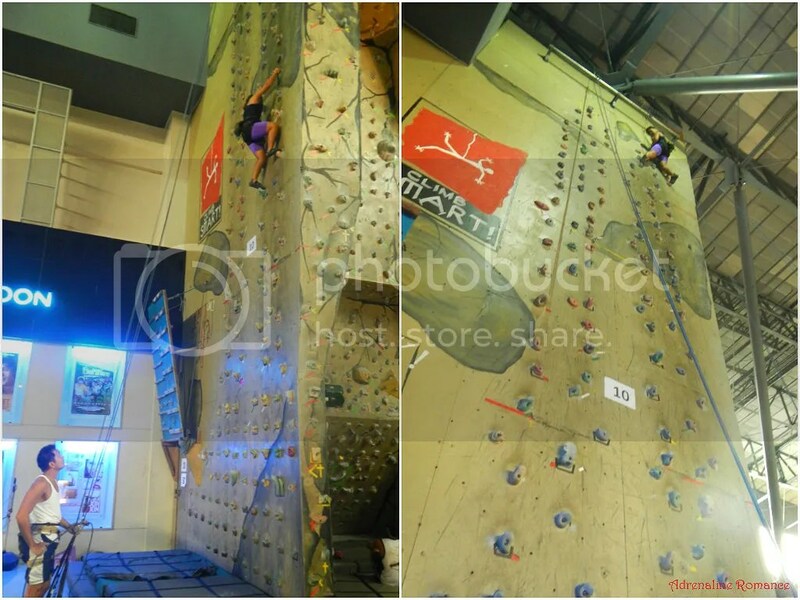 So expect curious stares from hordes of mall goers as you scale up the wall. 9. Don’t get intimidated by the climbers there. All of them are really friendly once you get to know them. Remember that no matter how strong and skillful they are, they have also started somewhere. 11. Follow the staff’s instructions for safe and fun climbing. Thanks for taking time to read our blog. 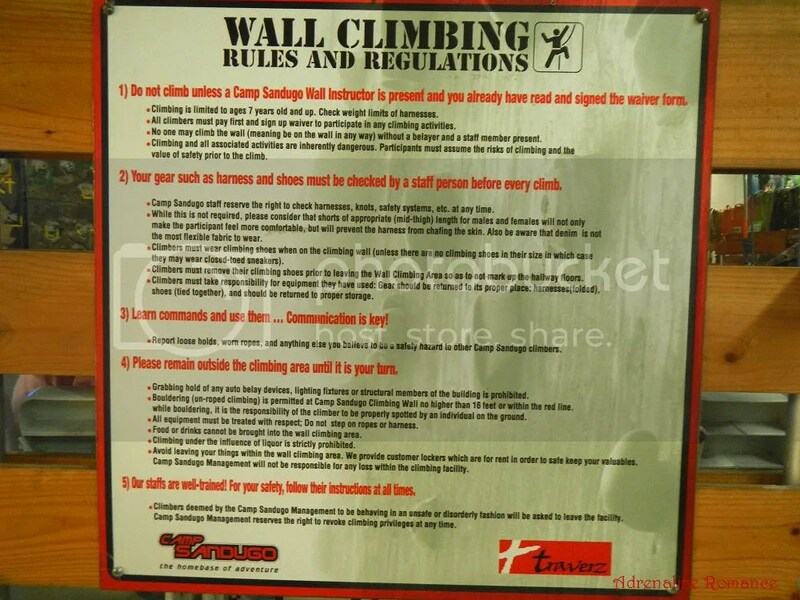 We believe you don’t need a reservation for unlimited climb; after all, it’s in a mall. 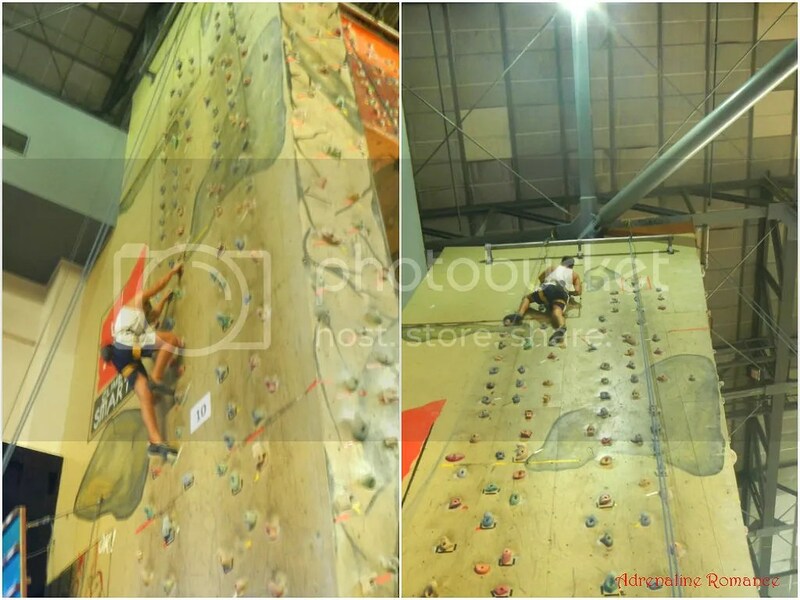 We believe you only need to reserve if you want to have the whole wall yourself, for example, in team building, wall climbing contests, school club activity, etc. When we went there, we brought our own shoes, harness, and chalk bag. So, we’re not really sure if the 340 includes (or excludes) the rental of such equipment. We suggest you contact Camp Sandugo for information about that. Hi, I am from Australia and will be coming to Manila to work for 2 weeks and would like to train during my stay. Do you think it is easy to find a partner at Market Market gym? 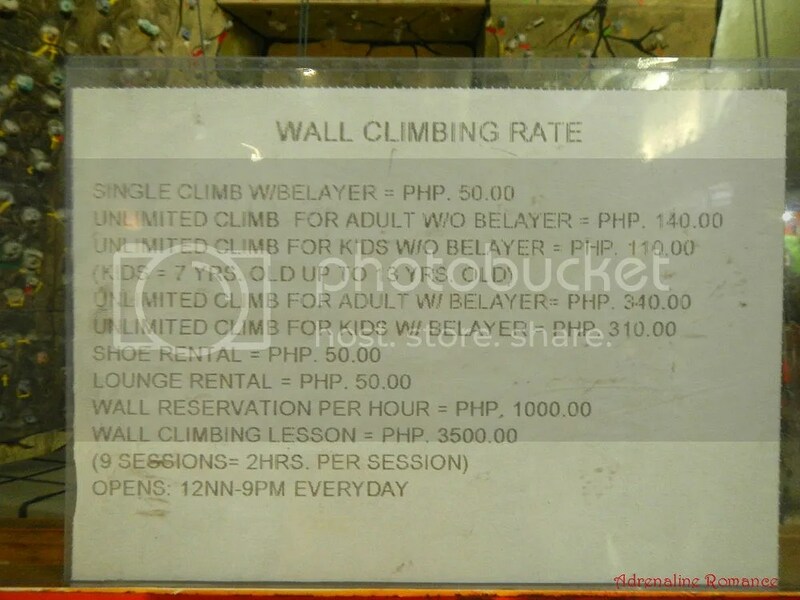 As shown in the photo, P140 is the fee for unlimited climb for adults if you do not avail of the in-house belayer service. A belayer is a person who catches your fall, and it requires a climbing partner who properly knows how to belay safely. The rate is applicable for people who bring their own climbing partners with them who know how to belay. 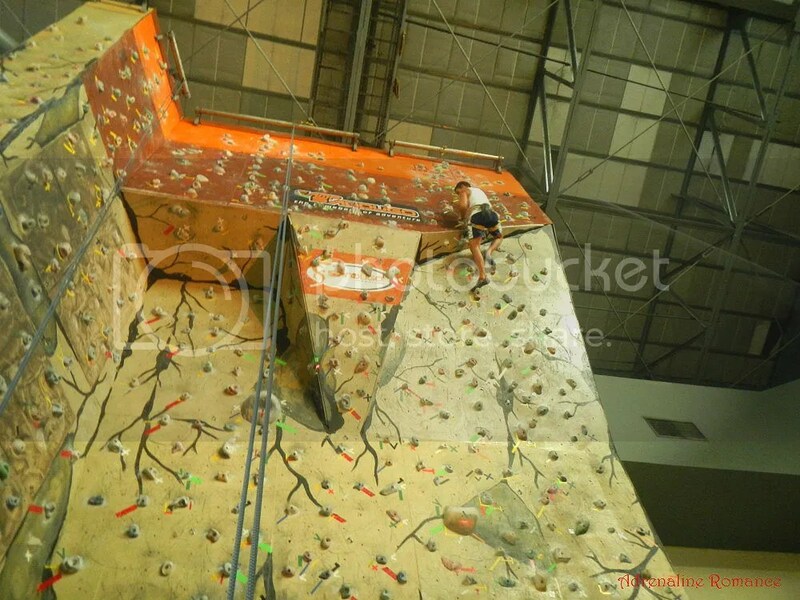 If you go there without a belay partner, then you need to pay P340 as show in the rate sheet photo. Then you need to rent climbing shoes because you can’t climb properly without these shoes. That’s P50. So you need to pay P390. The contact details are in the blog. Thank you.